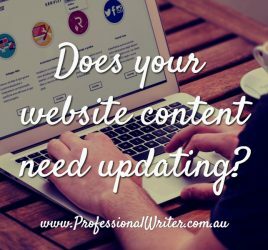 Once you’ve made the decision to prepare a Company Profile, or update your old one, you need to take some time to think about the content. Yes, there are standard formats you can follow, which provide details of your company, what you do and how you do it. Can I suggest you take a slight different approach? Sure, you need to include information about your company – that’s what the document is for. But it’s also important to consider why the potential client is reading your Company Profile. What does he or she want to know? It goes without saying that they want to know who you are and what you do, but what they REALLY want to know is … WHAT’S IN IT FOR THEM! One big mistake many small businesses make when putting together their Company Profile is that they rehash the Company History, throw in something about products or services, then tack the contact details on the end. OK, this may not be your approach, but we’ve all seen this type of profile, and it’s missing the opportunity to connect with the potential client. If you want your Company Profile to stand out, you need to build rapport with the reader and clearly demonstrate how you solve their problem or address their needs. 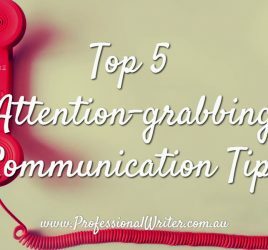 This will help your profile to capture the reader’s attention much more readily and will complement the standard information on your company. Let’s say you’re a builder. OK, we know you construct homes, but it’s more than that – you help clients bring their dream home to reality. So let’s talk about their needs. But what are they? Do they want minimal contact or regular communication? Premium quality, value for money or the cheapest price? Is working to a timeline or schedule important? Are qualifications and industry standards important? One of the best ways to demonstrate how you meet your customer’s needs is to use the Mission Statement section of your Company Profile. You Mission Statement can portray the values of your organisation and reinforce exactly how you go about meeting the needs of your clients. One important point – don’t say you do something if you have no intention of following through. At least some of your values must be a genuine match with the values of the client if you’re going to successfully do business together. Use graphics or a striking image on the cover – not just your company logo. If your budget allows, use a graphic designer to produce a quality front page for your profile. Use colour – most Company Profiles are just black and white, colour adds life and attracts the reader’s eye. Use images to illustrate your products, show off your work and introduce your team – Connect with your potential customers and build rapport by using photos of your team, your premises and perhaps add photos of your clients next to their testimonials (this adds credibility to their comments). If you’re using photos of your staff, be sure to add a caption with their name underneath. This is a good way to help people “put a face to the name”, especially if you’re not dealing with them face-to-face. Images also help to add interest to the page and break up the text. Include a Contents page, headlines and sub-headings – Make it easy for your reader to find the information they’re looking for my using a Table of Contents to direct them, plus headlines and sub-headings which separate content and make it easy to read. Include and DOUBLE CHECK your Contact Details – this may seem obvious, but please make sure you include ALL your contact details. Double check the phone number and email address are correct – this is VITAL. How do your clients contact you now? If you’re active on social media, you may want to include links to these pages, but only if you check your page or feed regularly and will respond to the client via this medium. If you’re not currently active, just use your phone number and email address. 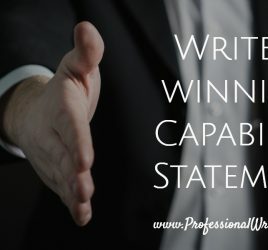 If you’d more about Company Profile tips – check out the article: How to write a Company Profile that wins more business on this blog. Do you have any Company Profile tips which have worked for you or your company? Please feel free to share via the comment box below. Hi, I’m Lyndall Guinery-Smith, The Professional Writer. I have a strong background in small business management and actually enjoy writing Company Profiles (as crazy as that sounds! ).